Have three kids up front. 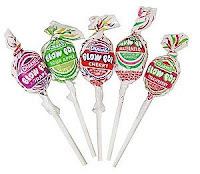 Give them each a Blow Pop sucker. The first one to unwrap it, bite into it, to the gum, and blow a bubble wins.